Order online and we’ll deliver, from our farm to your door! Whispering Meadows is your local farm source for premium meats, with home delivery of the highest quality of naturally-raised and organic chicken, beef, lamb, and pork. Plus the best beef jerky and sausages you can find anywhere. We raise our animals just the way you dream of: free-range, stress-free, with zero antibiotics or synthetic hormones, using organic growing methods, and with certified organic & non-GMO feeds. and a selection of prepared foods: beef jerky in three gourmet flavours, and our all-natural pork sausages. Our Black Angus beef is mouthwateringly delicious, juicy and tender. We keep our herd small to give each animal a healthy, happy life – 100% free of antibiotics and synthetic hormones – and we raise them as naturally as possible on a rich blend of legumes and field grasses. We give you the choice of fully grass-fed beef – for the ultimate nutritional profile – or grain-finished beef for the sweetest and most tender meat. All of our beef is dry-aged for a full three weeks, and artisinally hand-carved into individually vacuum-packed cuts by our local family butcher. This is the kind of beef our great-grandparents used to eat, and it’s not something you can find in any supermarket. As your local farm supplier, we want you to be able to fully trust the whole process of bringing your meats from the field to your plate – in the most healthy and natural way possible – and delivering them right to your door. Because beef freezes so well, losing none of its flavour or texture, we offer you fresh-frozen cuts — both individually… or by the mixed box, half-side or side of beef. 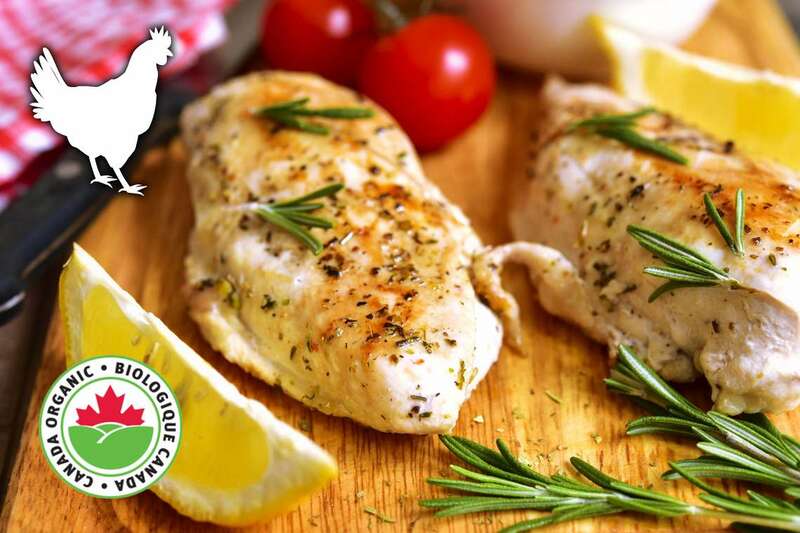 Our certified organic chicken has a rich, full-bodied flavour profile that is worlds away from the factory-farm chicken you see in the supermarket. 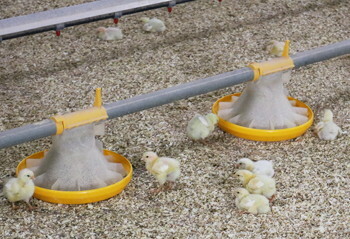 Our birds are raised 100% free-range, in a European-style spa-like environment with natural wood shavings for bedding. They are free-fed certified organic food and water, and are free to fly around, nest, and perch however they like. These chickens are raised cage free, drug free, antibiotic free, artificial growth hormone free, and fed on GMO-free, organically grown corn & feed. The meat is moist, tender, and packed with flavour. We offer whole roasting chickens, pre-cut whole chickens, and individual cuts: chicken breasts, wings, thighs, drumsticks or ground chicken. And we’ll deliver it frozen, direct from our farm to your door! Our pasture-raised heritage pork has unbelievable flavour, juiciness, and nutritional density. 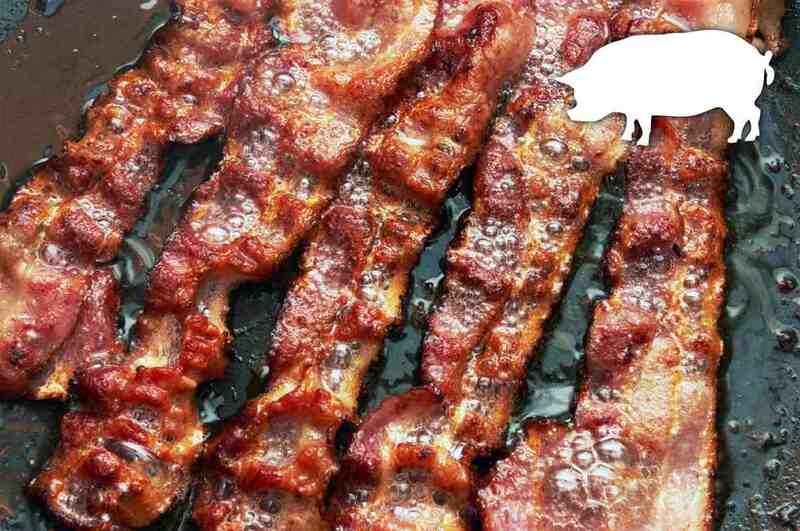 The hogs are raised without the use of artificial hormones or antibiotics, and fed on 100% plant and vegetable based feeds — including organic non-GMO grains that we grow ourselves. You’ll receive your pork fresh-frozen & ready for your freezer, packaged and labelled in individual vacuum packs, so you have it on hand whenever you’re in the mood. You can order by the quarter, half, or whole hog. Like all of our meats, our lambs are grown the way nature intended, with no antibiotics, synthetic hormones or other artifical growth promoters. They live a happy, stress-free life on rich all-natural pastures — which we believe translates to the best-tasting lamb you can find anywhere. Our lamb is dry-aged to give it maximum sweetness, tenderness, and flavour, to add to its already nutrient-rich profile. It is then artisinally hand-butchered into individual cuts, and packaged in individual vacuum packs. 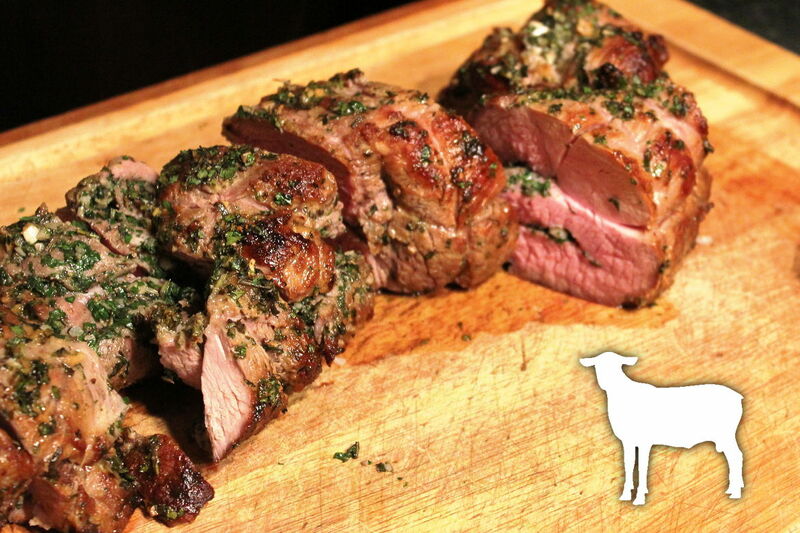 We offer you a choice of several different combo packs of lamb, each with a nice selection of cuts. You’ll love these gourmet sausages made from our pasture-raised pork, with natural casings and 100% certified organic seasonings. 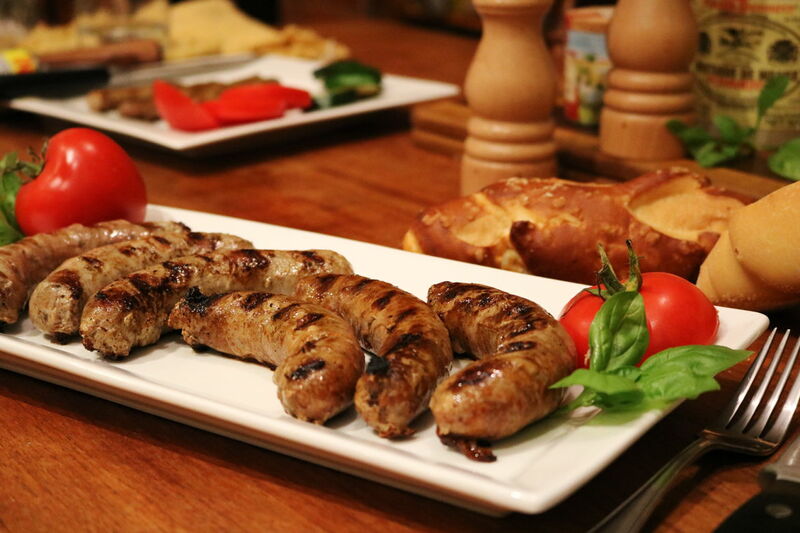 We worked with a professional chef to develop three unique and mouthwatering flavours: Barbeque sausages, Italian sausages, and Maple Breakfast sausages. These sausages have zero fillers, and are gluten-free, dairy-free, nut-free and soy-free. They also have no nitrates, preservatives or MSG. We ship them to your door, frozen, in one-pound packages. We recommend keeping a number of packages in your freezer, so you have them on hand for whenever you want a quick and easy meal — you can poach them in boiling water directly from frozen, then give them a quick pan sear or grill to serve. Our artisinal handmade beef jerky comes in three delicious flavours, all made with our own pasture-raised Black Angus beef plus certified organic spices and seasonings. “Smoky BBQ” is a barbeque-flavoured beef jerky, seasoned with a tomato reduction infused with a mild spiciness and a hint of smoke. “Asian Fusion” is inspired by Thai, Szechuan, and other Asian cuisines, and has a unique blend of flavours with just a little heat. “Aztec Spice” is medium spicy and has a mole poblano flavour profile that takes its inspiration from ancient Central American ingredients. Our beef jerky flavours are all-natural, using certified organic seasonings, and of course are made from our premium, local & sustainable Whispering Meadows Black Angus pasture-raised beef. They are gluten free, GMO free, nitrate free, dairy free, nut free, and have zero preservatives or MSG. We also offer a combo pack with 5 each of all three flavours, for 20% off. Many generations of farming experience have gone into creating our growing methods, allowing us to pack maximum flavour and nutrition into every bite of our meats. We think you’ll notice the difference – even compared to other natural growers – but especially relative to the factory-farmed meats that you see at most meat counters. 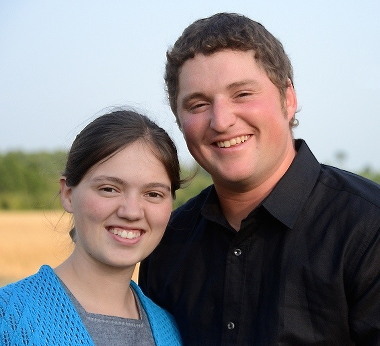 Randy and Ang Martin are the torchbearers for this generation of farming excellence. 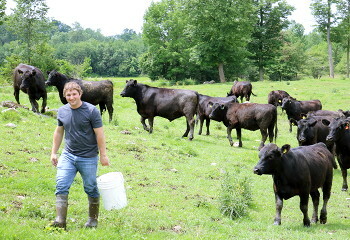 Randy comes from 10 generations of livestock farming, and is the current steward of the Whispering Meadows herd of Black Angus cattle, as well as our state-of-the-art certified organic chicken barn. We have also partnered with some of our neighbouring farmers, who are similarly experienced in upholding a standard of excellence with natural & organic growing methods, to bring you our pasture-raised lamb and pork. We have a rigorous certification program for all of our suppliers, our butchers, and our processors. 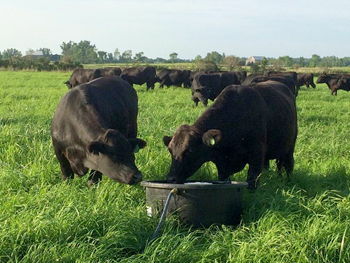 Our production practices include food-safety guidelines developed by the Verified Beef Production Plus program. And we have a Health Management Protocol in place to actively maintain the health of all our animals. We want to always be 100% sure that we are bringing you the very best meats that you can find anywhere. 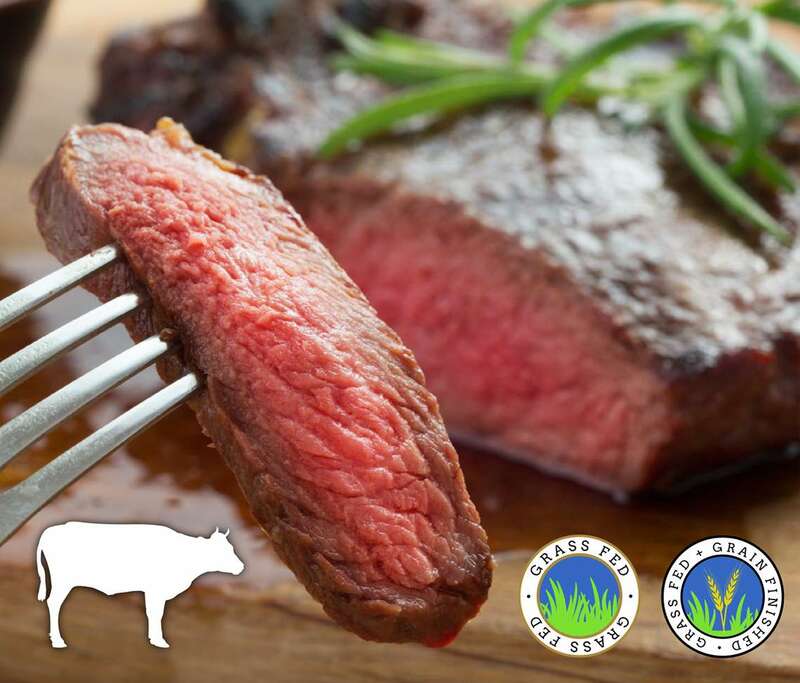 We want you to be absolutely sure that by ordering our natural & organic meats, you’re getting the very best tasting, most nutritious, and heathiest meats that you can find anywhere. But don’t just take our word for it. Read some of the glowing feedback we’ve received from our customers!